We are proud to announce that Blue Scientific has been appointed by Bruker as the exclusive agents for Bruker’s Micro X-ray Fluorescence (XRF) product range throughout the UK and Ireland. M1 ORA and M1 MISTRAL– Compact tabletop analysers for layers, coatings, precious metals and jewellery. M4 TORNADO – Composition and element distribution analysis, delivering a wealth of information for materials applications including corrosion, catalysis, solar cells, coatings and failure analysis, as well as geology, life science and forensics. M6 JETSTREAM – Fast analysis of large area samples. Portable, flexible instrument designed for geology and failure analysis. These new additions further expand our ability to provide complementary technologies for your research in materials applications. For example in geology, micro-XRF complements Bruker’s micro-CT imaging (also distributed by BlueScientific). 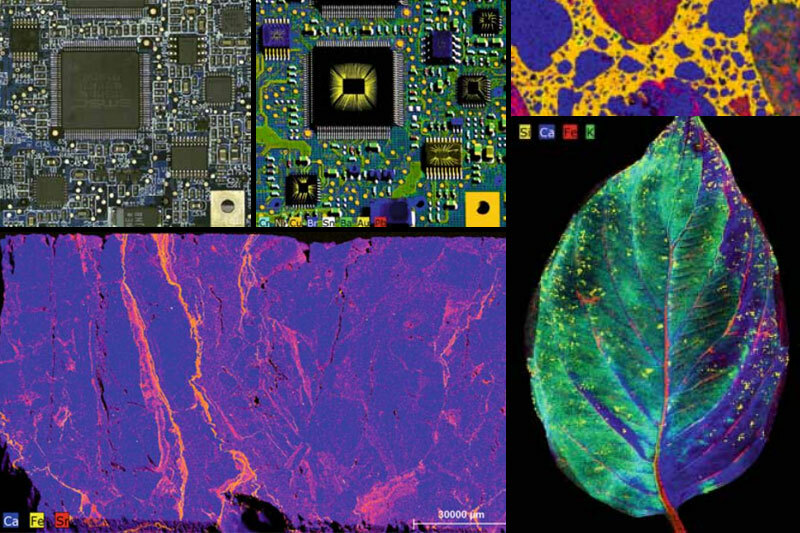 Micro-XRF offers the ability to investigate bulk chemical analysis of both major and trace elements, whereas micro-CT is used for looking at internal structure, at micron resolution and beyond. Bruker is a worldwide leader in scientific analytical instruments for research and quality control. Bruker’s cutting-edge instruments are used by academics and researchers worldwide, with outstanding performance and pioneering features. Contact us to book a live micro-XRF demo at MMC 2015, the Microscience Microscopy Congress in Manchester on 29 June – 2 July 2015. Bring your own samples and see the M4 TORNADO in action, and examine the results for yourself! Contact us now on 01223 422 269 or info@blue-scientific.com to book your demo.